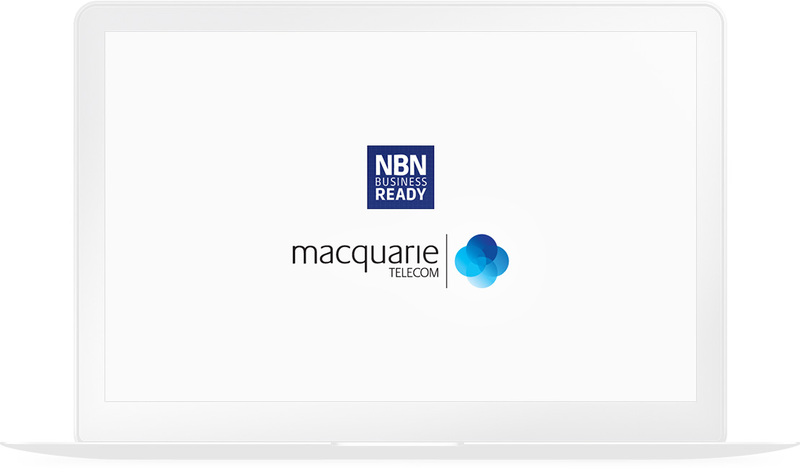 The Macquarie Telecom NBN Business Ready website is a resource for companies assist with preparation for the National Broadband Network roll out. 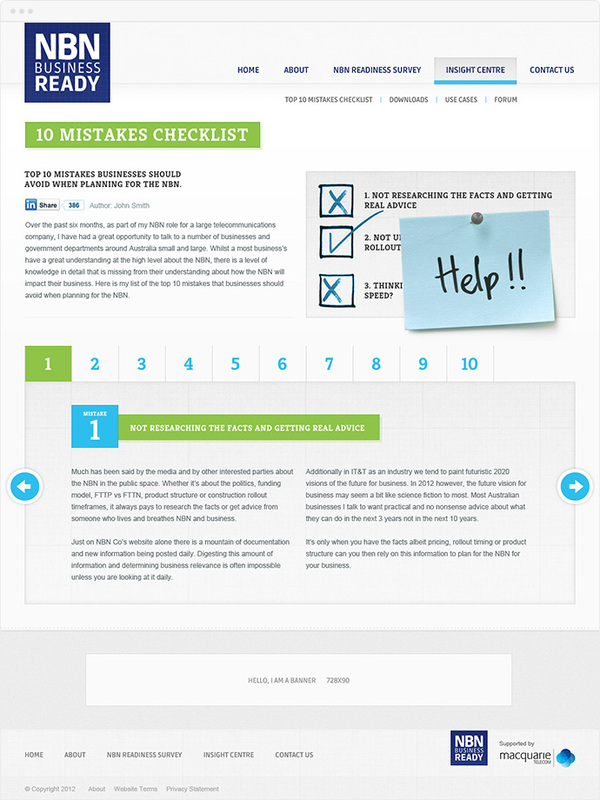 The site aims to explain the NBN in simple terms, includes a “Top 10 Mistakes” checklist and contains an Insight Centre for further learning. 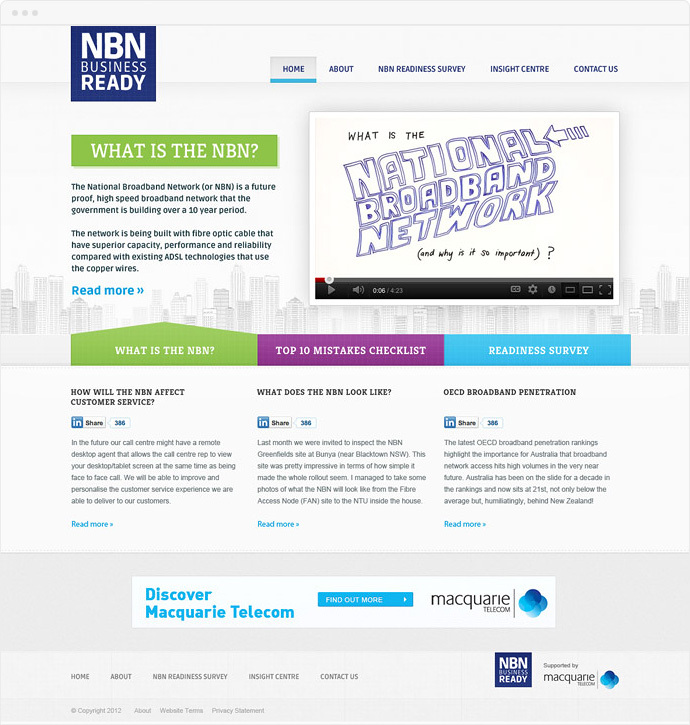 Binary working with Macquarie Telecom created the branding and design for the NBN Business Ready Website.